Today’s guest picture comes from my brother Andrew. 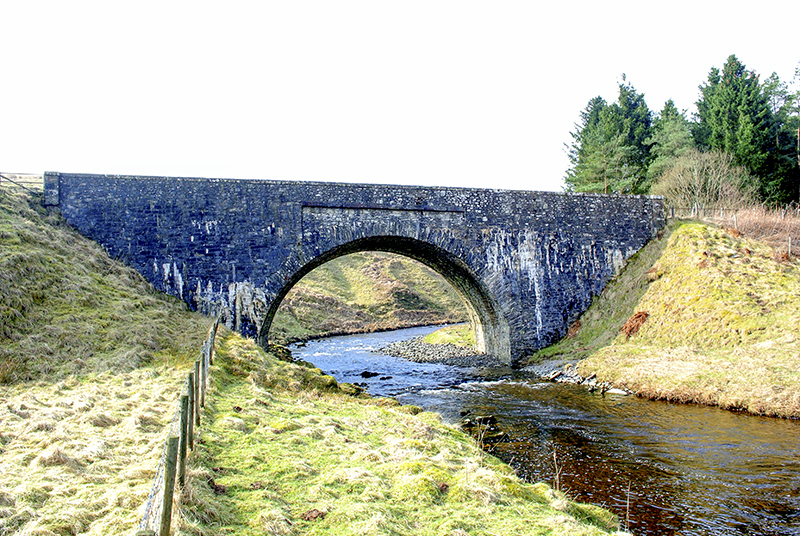 He came upon this bridge over the River Dove when he was out with his walking group. He points out that it is unusual in that the later two lane bridge, to save costs, has been built on top of the old medieval one lane one. We had a day of sunshine and showers here today and the trick was to choose the right moment to get the weather appropriate to your desired activity. I started with finding a dry moment to cycle up to the Day Centre to get a key for the camera club meeting in the evening. Then I entertained Dropscone to coffee (he brought the scones) and pondered about cycling when he had left. Dropscone had found it pretty chilly when he had cycled through so that gave me pause for thought. The sun was out and I walked round the garden while I thought some more about cycling (it was rather windy). 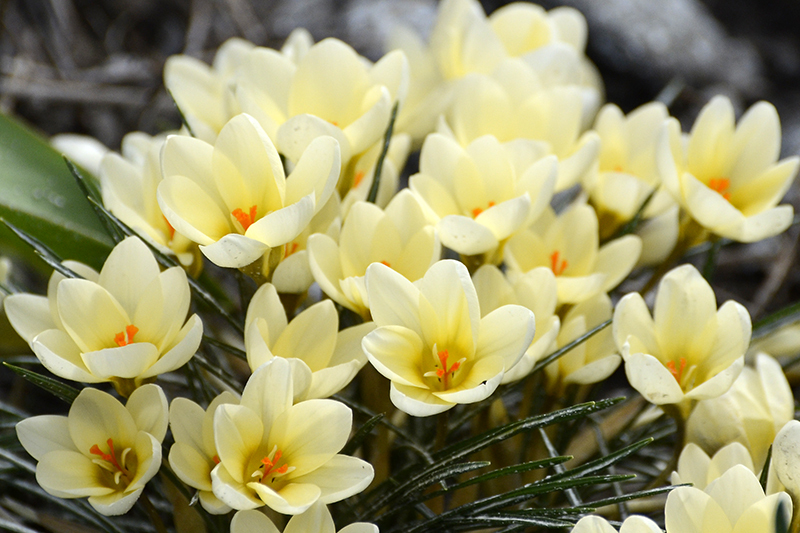 The flowers were grateful for a dry spell. Then I went back inside and considered things a bit more while I watched the birds. Chaffinches approached the feeder in their own way. 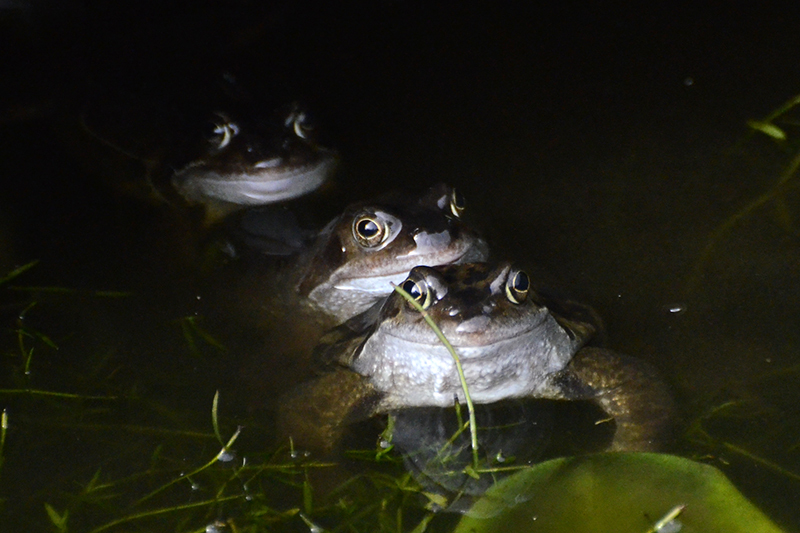 …while others wasted time on the feeder by discussing politics. Finally I thought that the weather looked sufficiently set fair and the wind just quiet enough for a ride so I got my cycling gear on and set out on the fairly speedy bike. The wind turned out to be pretty fierce after all and I adopted my usual strong wind plan and skulked about in a cowardly way, going up and down the four miles in the sheltered valley bottom to Cleuchfoot and back. This may be a bit dull but it does mean that I get a regular break from pedalling into the wind and three trips gives me a 25 mile ride which is not to be sniffed at in testing conditions. 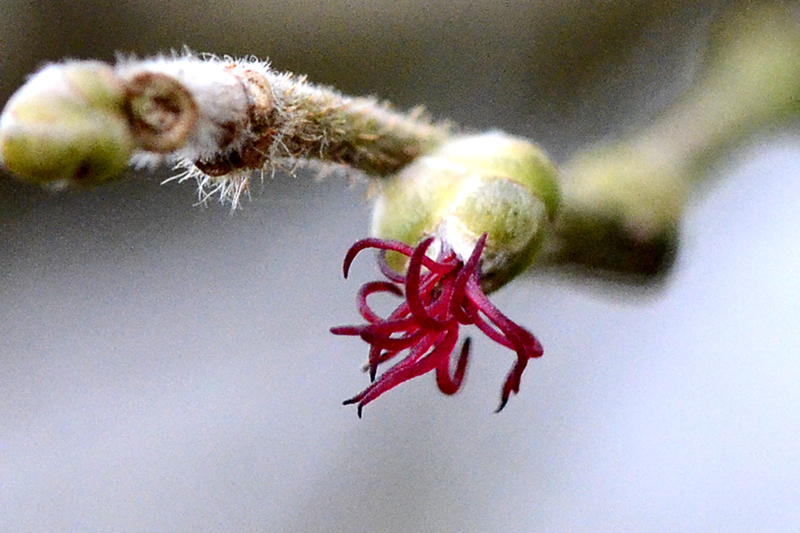 It also gave me chance to look for some female alder flowers which the New Hampshire gardener had told me that I ought to find as the male catkins were opening. He was right of course. …and there were the flowers. On my second lap, I stopped for some hazel catkins and flowers…. …and on my third and last lap, the lichens got my attention. I also stopped to see how much water was going over my favourite cascade on the mighty Wauchope. Not quite as much as I had expected. …and on the second lap,they produced a sharp and painful hailstorm in the middle of the most exposed section. The temperature dropped and the wind got up and I was beginning to consider a shortened expedition when thanks to the brisk wind, the clouds and hail rapidly blew away and I was quite warm and dry by the time that I got home. The trip took my distance to over 300 miles for the month and with ten days still to go, that is very satisfactory. When I got in, I found that Mrs Tootlepedal and our neighbour Liz were planning a trip to the council dump. Some people have all the fun. ..before disappearing into the log pile. …and enjoyed the colour of the new spirea leaves..
..before going inside for a late lunch. I waved Mrs Tootlepedal off on her joyride, promising to keep an eye on the washing which was drying in the garden but almost as soon as she had left, it started to rain so I had to jump up and get the washing in. It was just as well that I did because the rain soon changed to pelting hail and then back to rain again, coming down in stair rods. The temperature dropped three degrees C in a handful of minutes. I had timed my bike ride well. The rain didn’t improve the birds’ tempers and a chaffinch rudely booted a siskin off the feeder to the horror of the onlookers. By the time that Mrs Tootlepedal and Liz returned from the dump, the sun was out again. In the evening, my flute pupil Luke came and played the pieces which he is using for an exam later this week. He has been learning these at school and he must have been practising very hard because he played them very well. If all goes as it should, he ought to pass the exam. Later on, I went to the Camera Club meeting and a good attendance of members had an excellent evening with a number of very interesting images to enjoy. The monochrome flower challenge had brought out some innovative ideas and at the end, we agreed that a good time had been had by all. The flying bird of the day is a siskin which almost squeezed into the frame. Today’s guest picture was sent to me by Bruce. 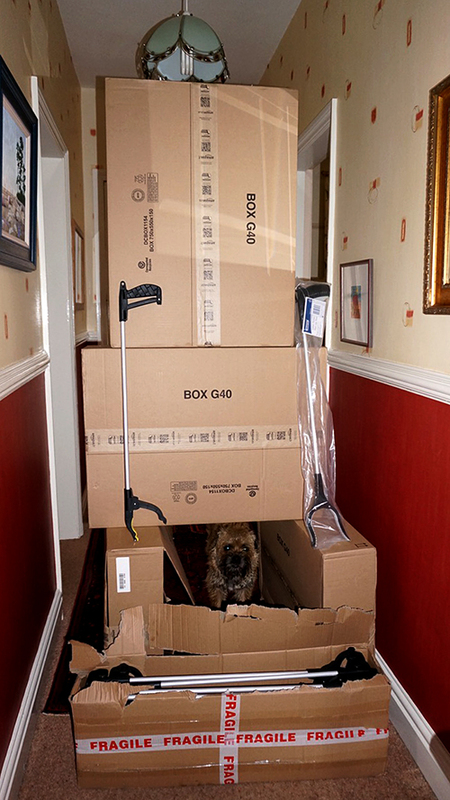 He ordered 28 litter pickers from two different sources. 24 of them came in the small box at the front of his picture. The other four from Amazon came in one enormous box each. This is the economics of madness. It was sunny when I woke up this morning. I was so surprised that I had to have a little lie down. In fact, it was sunny and misty at the same time and I had hopes that the mist would lift and we would have a fine day so I got the fairly speedy bike out after breakfast. Instead of my usual westerly route, I pedalled northwards today. It is a fine cycling route but I don’t use it very often because the first few miles are appallingly surfaced and it is very bumpy. Things looked promising as I looked over the Esk valley soon after the start. It looked as though the clouds would soon be gone but the further I went along, the more the clouds thickened up and by the time that I was half way round, all signs of blue sky had disappeared. Still, I had some sunshine left as I pedalled up to Bailliehill, looking down on the River Esk below me. 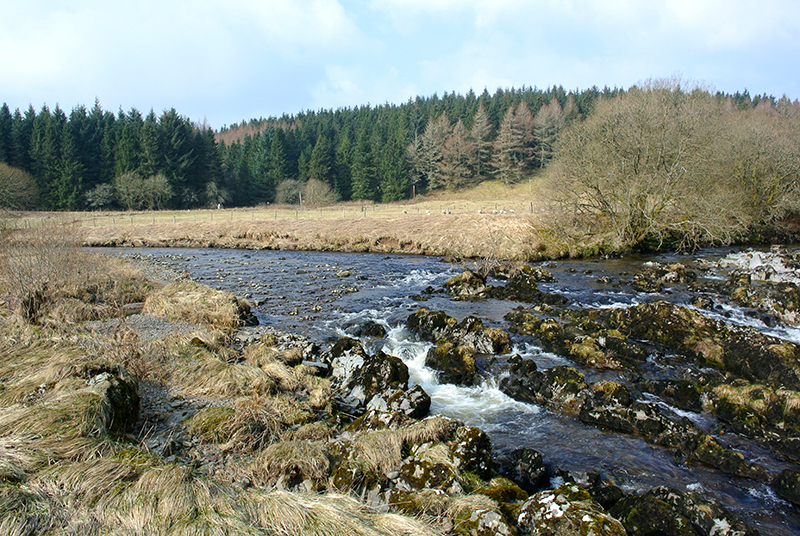 I stopped to take a photograph of the meeting of the White and Black Esk rivers just past Bailliehill. 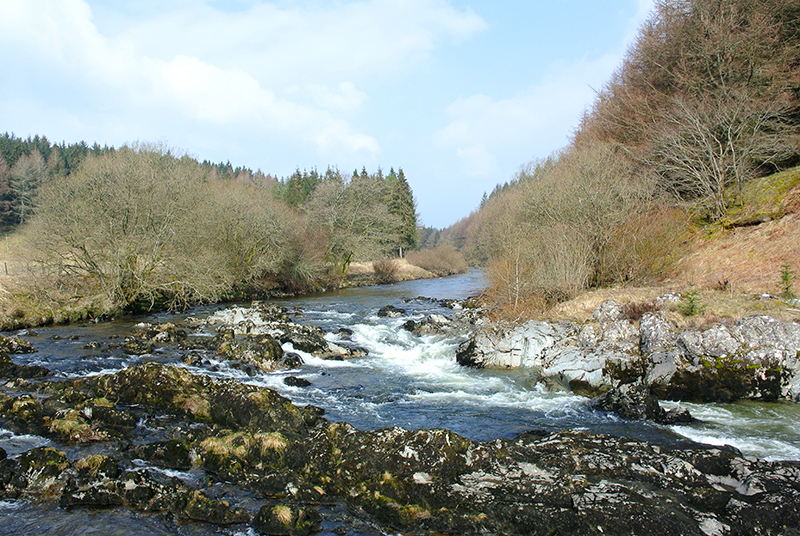 The White Esk, this was the one I would be following for the next part of my ride. The Black Esk. 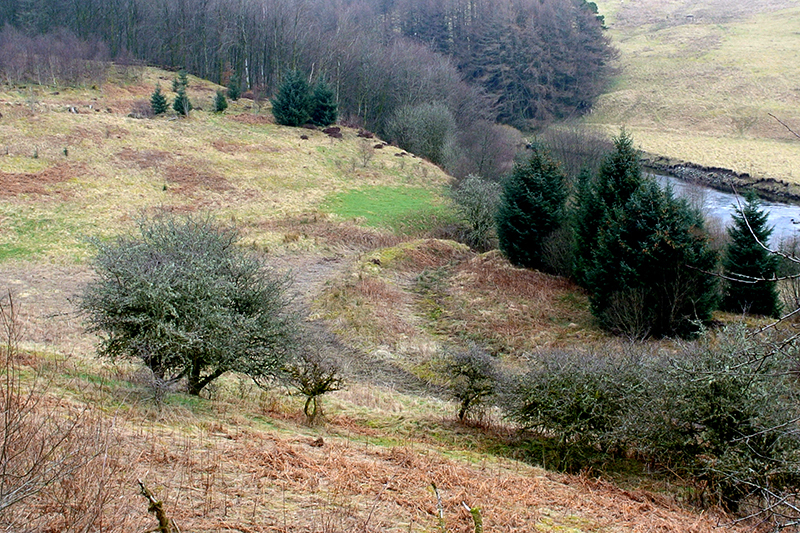 This is dammed further up for a reservoir which provides Langholm with its water supply. Just a few yards upstream, the Black Esk is crossed by a striking bridge, obviously very popular with birds. ….is less interesting and has a steep hill near the start but with a long descent to ease the muscles after it. 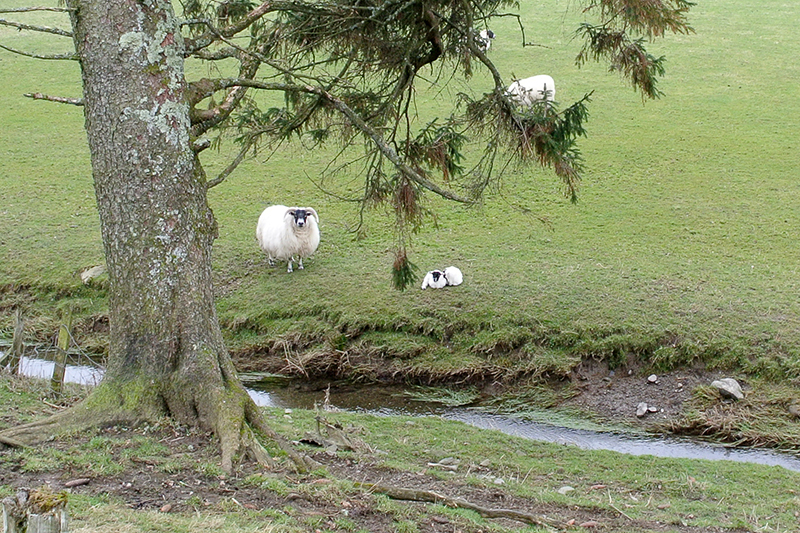 I was stopped in my tracks near Bentpath by the sound of bleating. It was the first lamb of the year. Although shorter than yesterday’s ride, today’s effort had quite a bit more climbing and I was pleased to arrive home in good order. I had taken things very easily up all the hills partly because I wanted to be sensible and partly because I had little oomph in my legs anyway so my average speed was in the stately class. 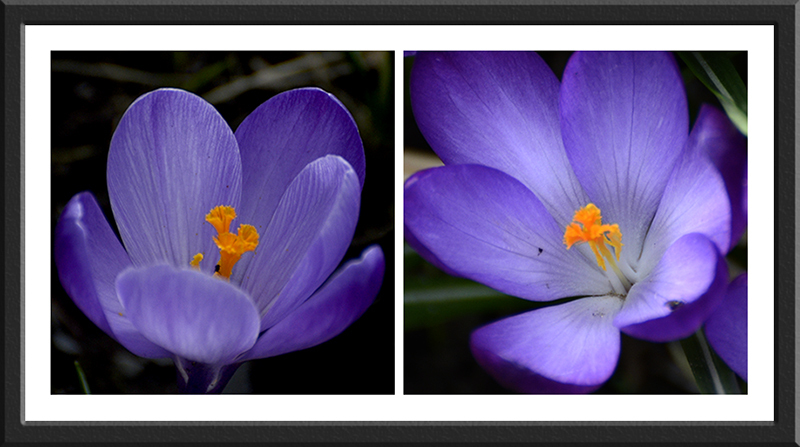 …and the crocuses, which have been looking very battered, were impressed by the warmer weather. I spent a little time watching a very feisty lady chaffinch seeing off all comers. After lunch, Mrs Tootlepedal went off to Carlisle to purchase some building supplies and I went to a meeting about the forthcoming Tourist Information season for which I am a volunteer. There are exciting plans afoot with new premises planned and all we need now is some tourists. After the meeting was over, I got the slow bike out and revisited the Kilngreen and the Castleholm hoping to get some better pictures of dippers and tree creepers now that the light was a bit better even though it was still cloudy. 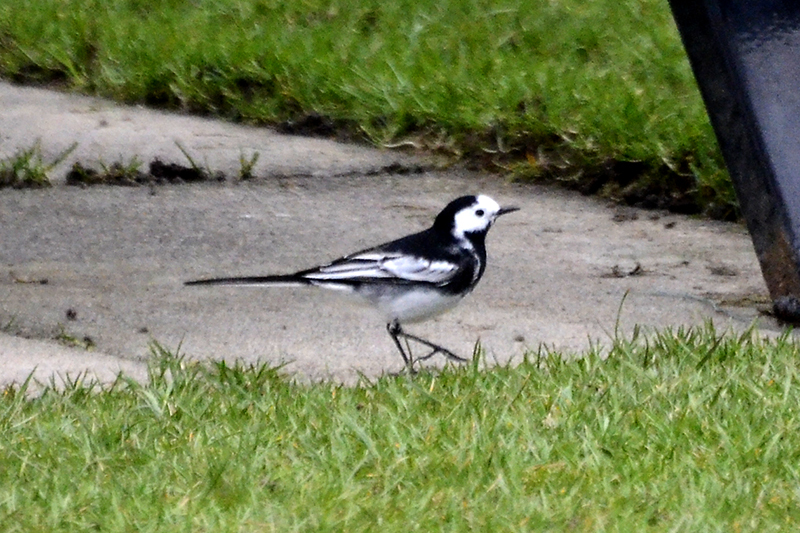 Needless to say I didn’t see a dipper or a tree creeper today but on the plus side, I saw a wagtail…. …and got some better picture of catkins and flowers of the hazels by the river. 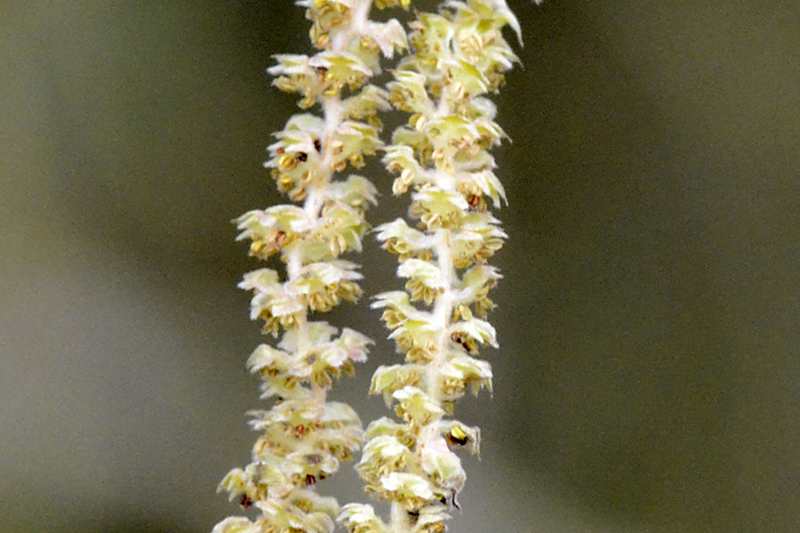 The pictures gives no clue to how tiny the elegant female flower is compared to the showy males catkins. 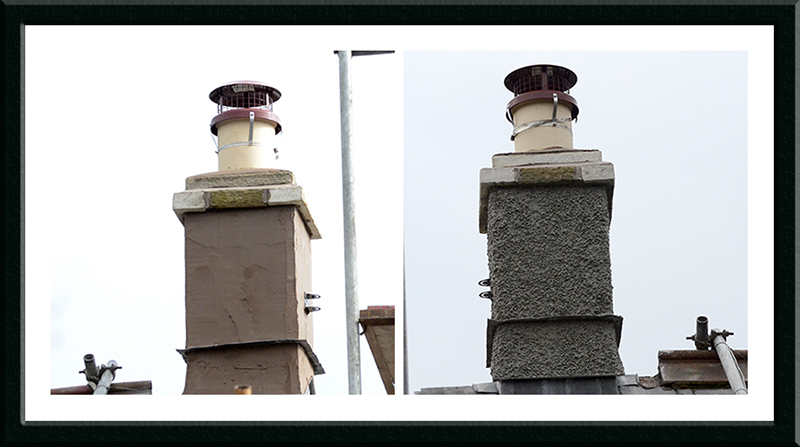 I was quite tired after two days energetic cycling but I had enough energy to admire the chimney pot which was first capped and then completed during the day. It suits the house very well. The builders are finishing the inside work and the end wall will be wet dashed (like the chimney) at the weekend so the end really is in sight now. In the evening, we went to our local community choir, Langholm Sings. We are working towards two concerts at the end of May so we have plenty to do at our practices. 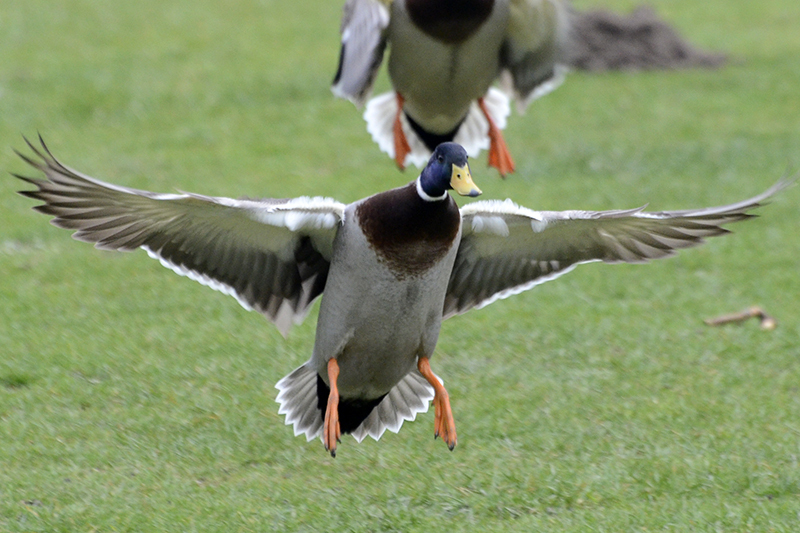 The flying bird of the day is a duck which nearly knocked me over on the Kilngreen.